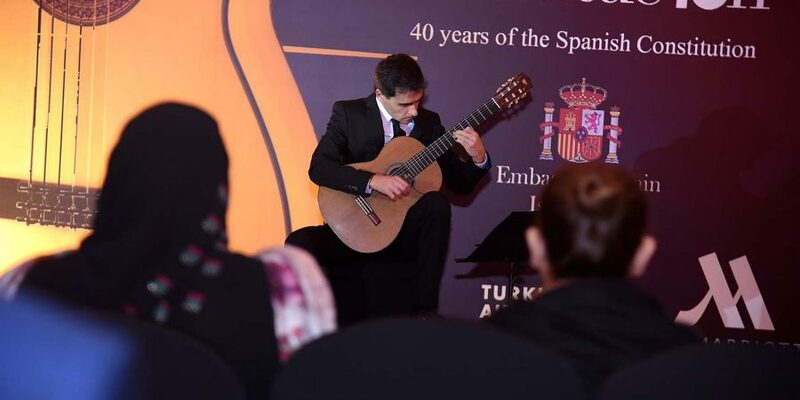 ISLAMABAD, DEC 06 (DNA) – The Spanish guitarist Raul Viela, 41, travelled all the way from Spain to perform in a music concert arranged by the Spanish embassy in Pakistan. 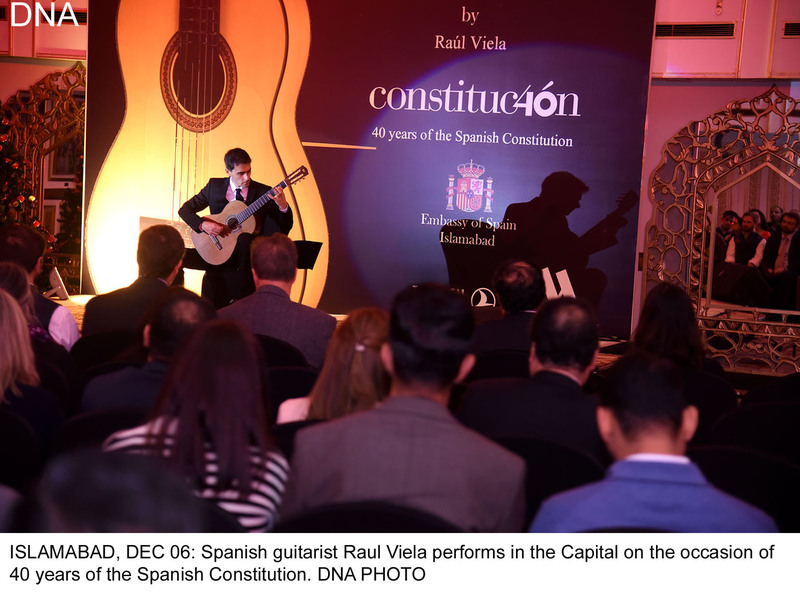 The concert marked the 40 years of the Spanish Constitution. 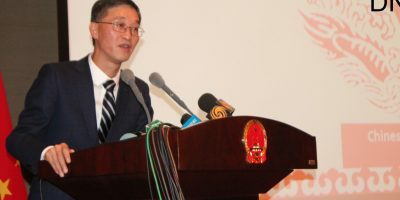 The newly-arrived Ambassador of Spain Manuel Duran in his opening remarks gave an introduction of the artist adding it was his first public event after assuming charge of the Ambassador. Guitar even in Pakistani music happens to be an integral part of orchestras and many Pakistanis have made their mark in the particular field of music. However, what Raul Viela played during the concert were pieces from the past taking the audience back into good old times. Through his performance Raul tried to re-cap various stages from 1889 to 1938 thus providing the audience with the historical background during these years. “If the audience feels the same emotion as the composer, it means the musician has his job done”, said Raul Viela. Raul has played in more than 20 countries travelling from Europe to Africa, North Africa and the Middle East as Soloist. He has performed for heads of states outside Spain, and at home he teaches music to hundreds of locals. He also lectures at the University of Huesca. Raul told in a brief chat with media that he wanted to be a guitarist from the outset and he achieved this goal. His wife also plays guitar and his small son has already started to learn all about this musical instrument. “An artist should have a keen interest in all forms of music whether be it theatre, cinema, music or paintings. That is the definition of a true artist”. 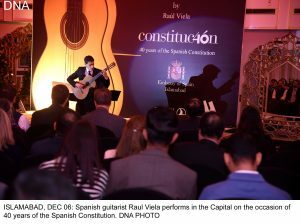 Raul said Spain is a country which has many forms of music to showcase and guitar being one of them. Even in Flamenco performance guitar is an important part.